Critics apparently aren’t loving it because they say “it’s more of the same”, but audiences are happy. I concur with the latter: I liked the first one, so why wouldn’t I want more? I enjoyed all of the same things as last time – but perhaps even more so. The art direction (isn’t that the thing where they create the atmosphere and mood?) is incredibly evocative, transporting, with lots of variety (we went from university to warehouse, mansion to forest, underground lair to mountainside castle, from England to France to Germany to Switzerland) but still somehow cohesive. 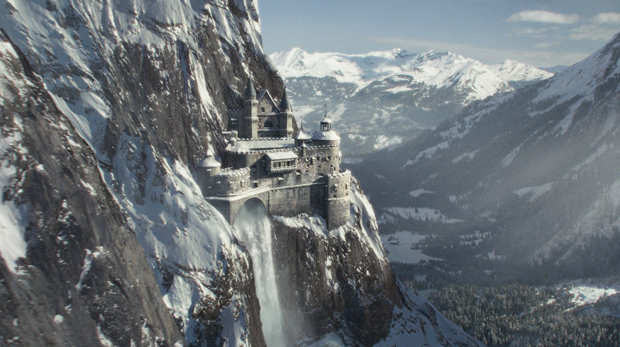 The outside view of that castle – especially in the dark – was awesomely chilling. I was happy we got to see Rachel McAdams, albeit briefly; and Noomi Rapace as the gypsy Simza grew on me a lot more than I’d expected. I liked Mary, Watson’s wife, better in this movie too. She’s got some gumption and a sense of humour. Hans Zimmer’s theme is really catchy – not to mention simultaneously jolly and creepy. What a stroke of genius to use a tinny, almost-out-of-tune sound that you imagine being played on a steampunk piano in a house of ill repute. I’ve decided I don’t mind the choppy “frames-missing” action sequences after all – because I’ve deduced (yep, I like to solve mysteries) that it’s imitating early film footage: the film is set in 1891, and the Birdhouse tells me the first celluloid film footage was taken in 1888. I also realized I like the way the action scenes are interspersed with slow-motion moments to show us some artistically rendered detail and make us think about it. I normally get bored with action sequences, because the movements quickly become a blur to me and I think, Okay, we get the idea! Cars going fast, dude beating up other dude, shooting and ducking, blah blah, no need to kick a dead horse in the solar plexus. I appreciate that it’s intricately choreographed and all that, but I have trouble seeing the appeal. In this case, the juxtaposition of fast and slow puts me much more IN the scene, imagining how the characters were feeling as bullets grazed their waistcoats or whatever. 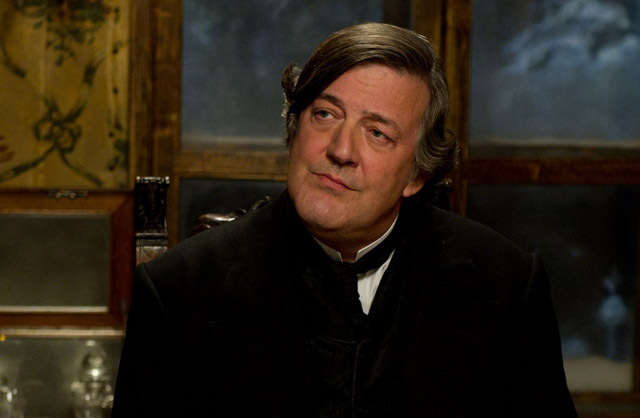 Stephen Fry as Mycroft Holmes is, of course, wonderful. Similar to the first installment, there was just enough emotion involved to make sure I cared about the characters (and therefore didn’t lose interest). RDJr. and Law pull off a relationship that clearly runs deep without being in the least maudlin. MAN, these guys are freakin’ spry. And dextrous. And dauntless. Just as they must be. It’s simply fun to watch. To sum up: to quote my spammers, “I presume a person need your thumbs upward”. Totally enjoyed it!